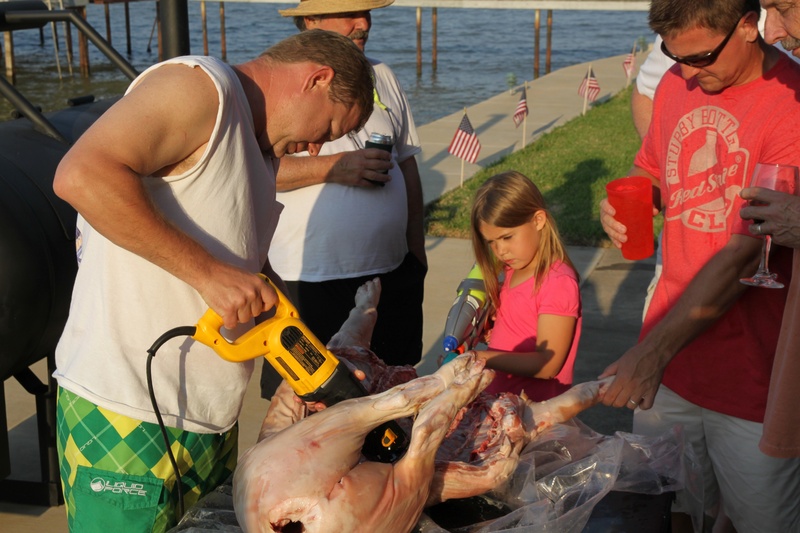 Son in law, Chris, is preparing a pig for their Memorial Day barbecue. Daughter Campbell is, of course, helping. Taken with Canon camera with negative film. Scanned the photo onto the computer. Location: Santa Barbara city park. 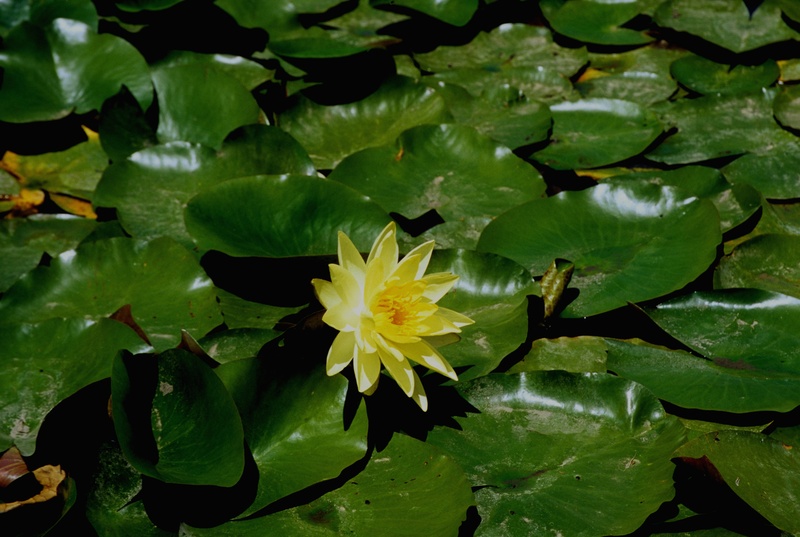 I liked the contrast of the yellow flower against the dark green lily pads. 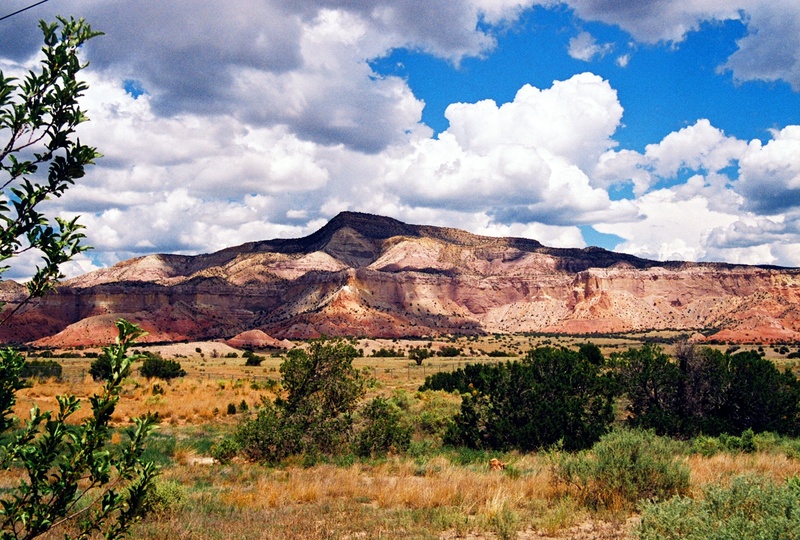 Northern New Mexico north of Santa Fe is arid but beautiful. We drive through that part of New Mexico every year on our pilgrimage to Pagosa Springs Colorado. I always stop and take a few photos. This is also the countryside that Georgia O’Keeffe loved to paint. I took this particular photo with my Canon Film SLR probably with Kodachrome (Kodachrome is dead, long live Kodachrome). 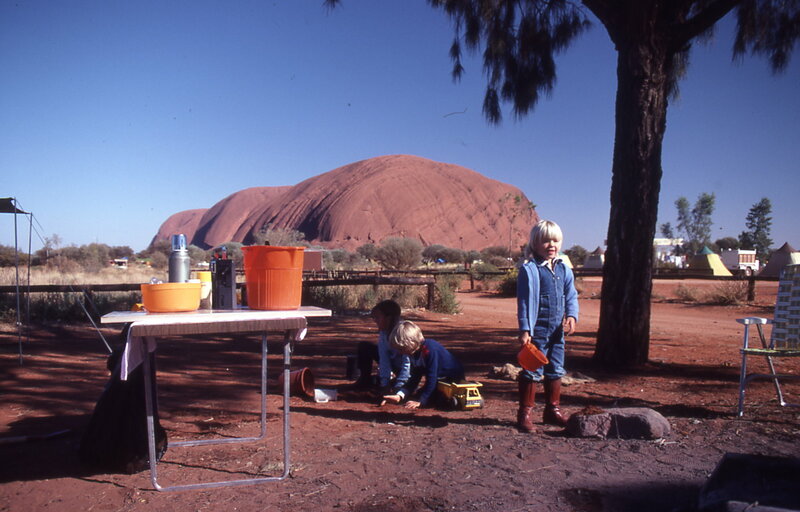 I came across some old photos of a camping trip we took to Ayers Rock with the Wilson’s in 1980. 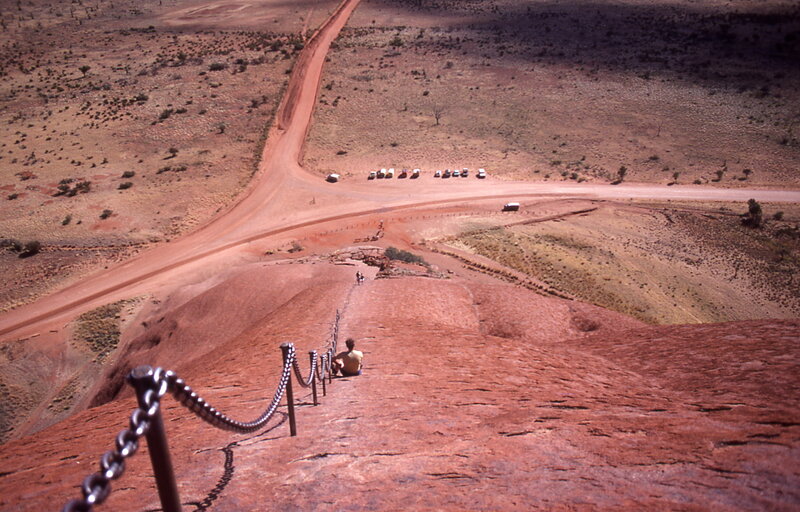 Back then you could camp right next to the Rock. Now days you camp 30 miles away. My how things have changed. Sara is standing up front in the photo below. I suppose she is trying to tell me something. Andy and Claudia are happily playing in the dirt. 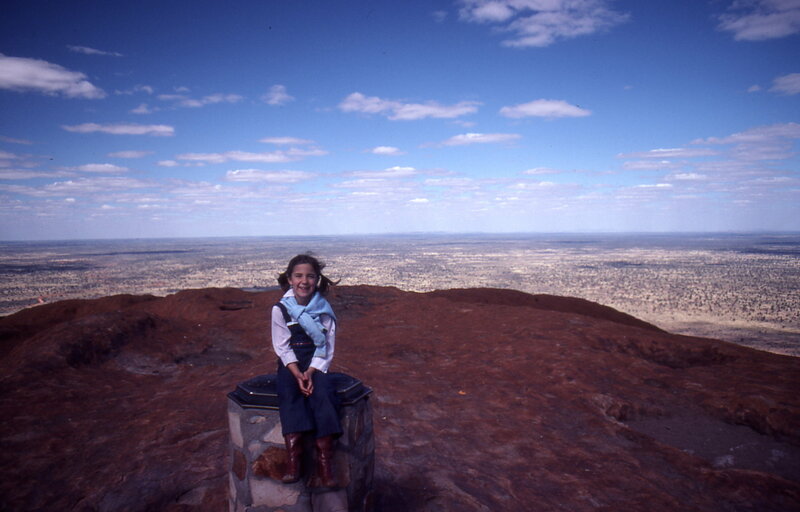 Later in the day we climbed Ayers rock –except for Gwen and Sara. Sara wanted to go but Gwen would not let her. In the photo below we are resting after the climb and Claudia is sitting on the marker on the top of the Rock. You are currently browsing the Number 6's Blog blog archives for May, 2011.